We are offering Tritech Water Quality Monitoring Platform, which is completely automated and seeks minimal human interference in operations. 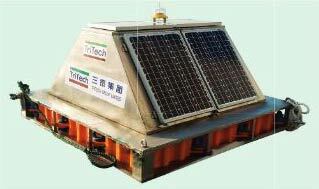 This Water Quality Monitoring Platform has a 3ggps real-time data transfer. Our Water Quality Monitoring Platform is widely used in lakes and rivers. We offer this Water Quality Monitoring Platform at very reasonable prices. Wide application in lakes and rivers.